This report reveals which firms rank highly in the minds of clients. 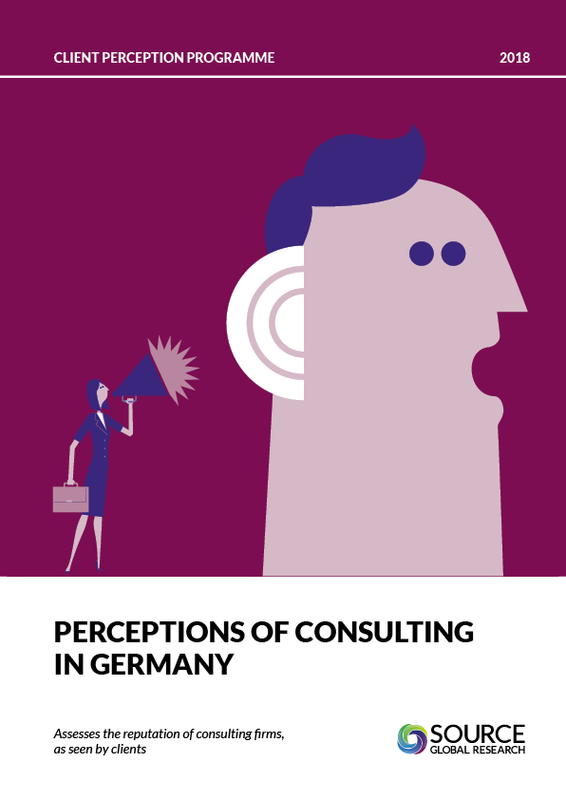 The report is split into three sections: rankings and data, the broader picture our data paints about how clients see the consulting market in Germany, and finally we analyse each individual firm that is featured within the report. We’re also able to analyse how clients’ perceptions of a firm change as their relationship with a firm progresses from awareness, to invitation to tender, to buying a small number of services, to being a regular buyer and advocate of a firm. There is firm-by-firm analysis for: Accenture, A.T. Kearney, Bain & Co, BearingPoint, BCG, Capgemini Consulting, Deloitte, EY, IBM GBS, KPMG, McKinsey, Oliver Wyman, PwC, Roland Berger, and Strategy&. You’ll also get access to the data contained and referred to within the reports, which is available online and can be sorted and filtered according to your preferences. Mindshare: Who are clients in Germany talking about? Where are firms over- and under-delivering? What did we ask them? Which firms are included in this report? How do we rank firms in this report?